In Nike F.C. On is aware that without risks, there is no victory. In other words, there is a constant ambition to move beyond the status quo. Risks come in many shapes and forms. And one of the areas where Nike F.C. are prepared to take chances is on the designs in their collections. 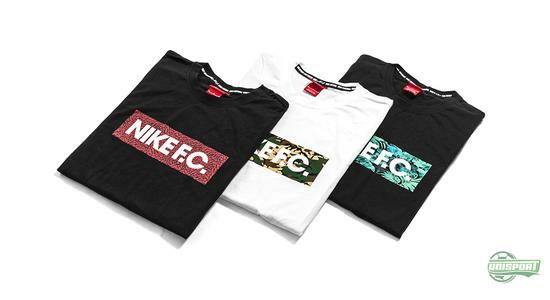 Now, Nike F.C. Are ready with a new batch of t-shirts. We have seen the tees sported by a number of the Nike F.C. Members, like Neymar Jr., Zlatan Ibrahimovic and Kevin Prince-Boateng. Now you have the opportunity to follow in their footsteps with these iconic Nike F.C. 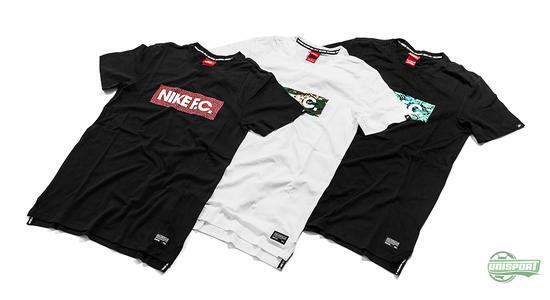 T-shirts that have gotten new prints on the chest and move a bit away from the very stylish and streamlined look that we have seen from Nike F.C. previously. 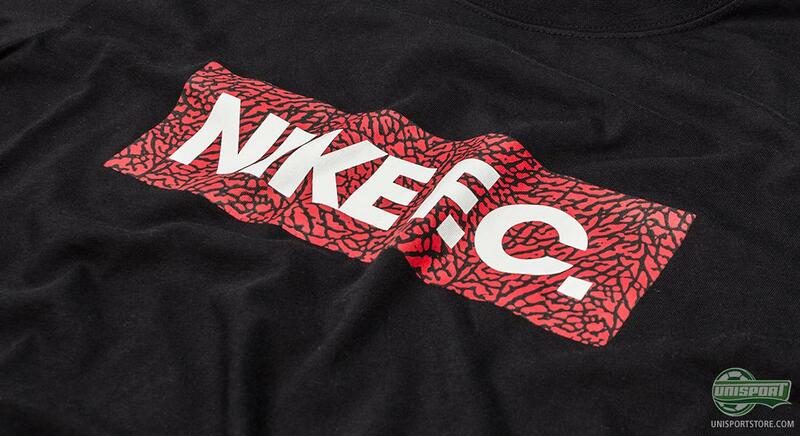 Find the new Nike F.C. t-shirts right here – just 29 Euro. 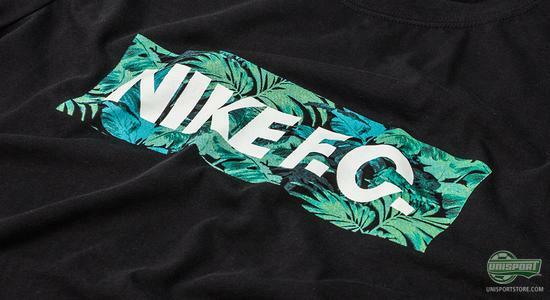 The first design we saw from Nike F.C. stuck to the very classic and stylish black and white colours and some golden elements. 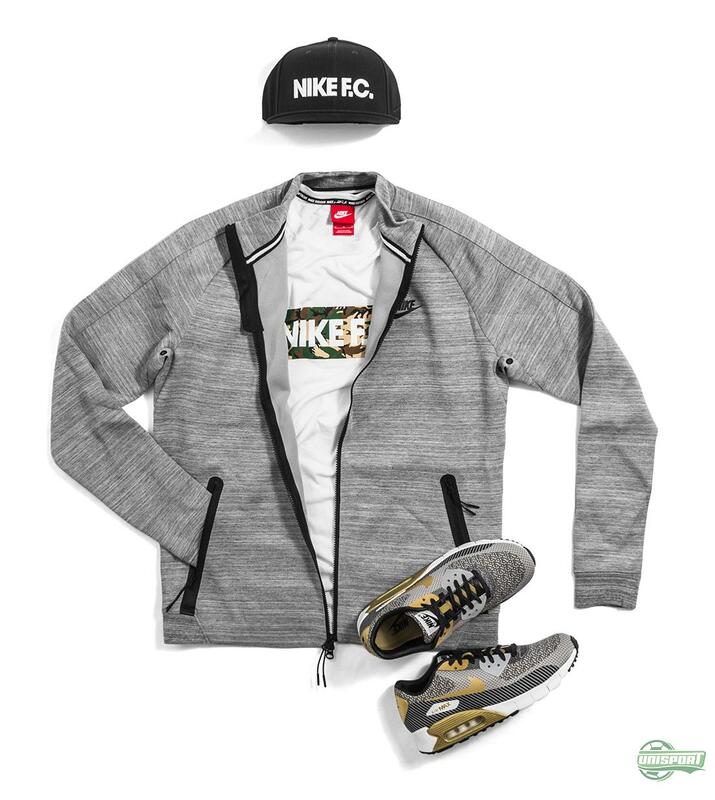 Since then, Nike have slowly moved towards using other patterns and looks. Last we saw the Paris inspired look, which included a creative Eiffel tower print, among other things. The three prints go by the names Brazilian Jungle, Elephant and Camo; and they hereby serve to bring in some nature to the exclusive club, which was founded all the way back in 1994, with especially they Brazilian football culture as one of the cornerstones. Nike F.C. did however, not really surface before this year, as the first clothing line was presented this spring. 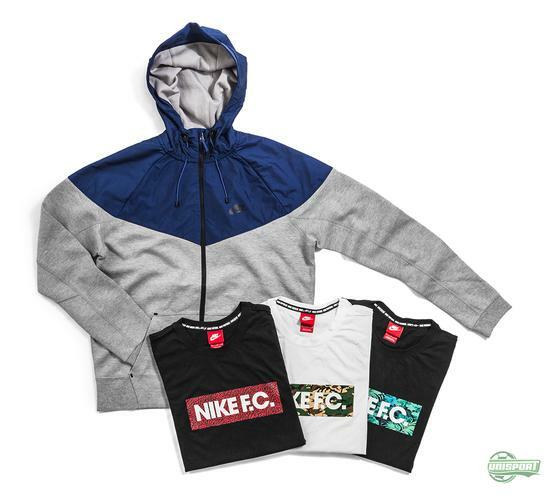 The clothing combines the sporty look with a stylish fashion design, and hereby encapsulates the many aspects of football, both on and off the pitch. In other words, in Nike F.C. they don't play football, they live it. Go Nike F.C. crazy right here. 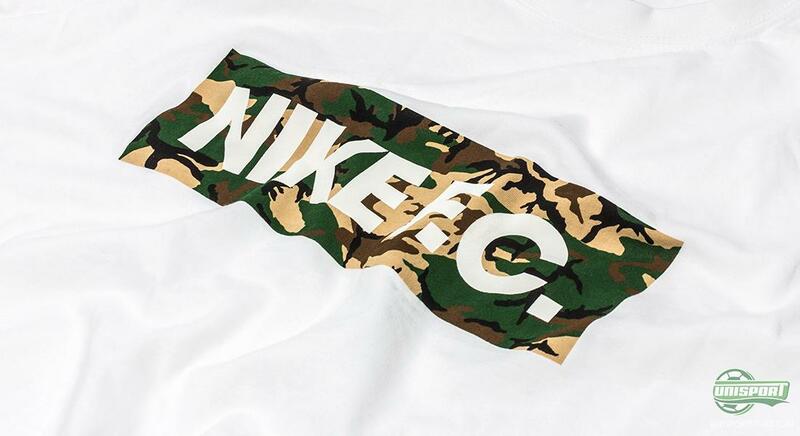 The new Nike F.C. t-shirts represent a central element of the club philosophy, to renew oneself and keep on taking risks. How do you think the new design fits the exclusive club?